With the first snow of 2019 landing on London streets this week, we found ourselves dreaming of chasing the sun. So what if it’s not even February yet? 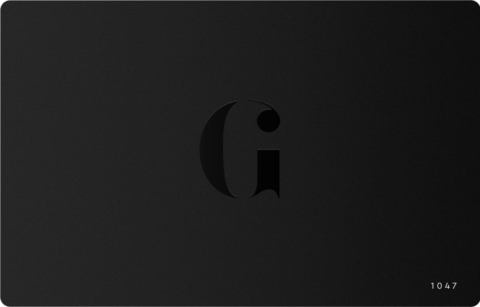 What’s more important is where you’ll be going next. The vineyards of Duoro Valley? The buzz of Bahrain? Or something more relaxing in the Med or Bahamas? 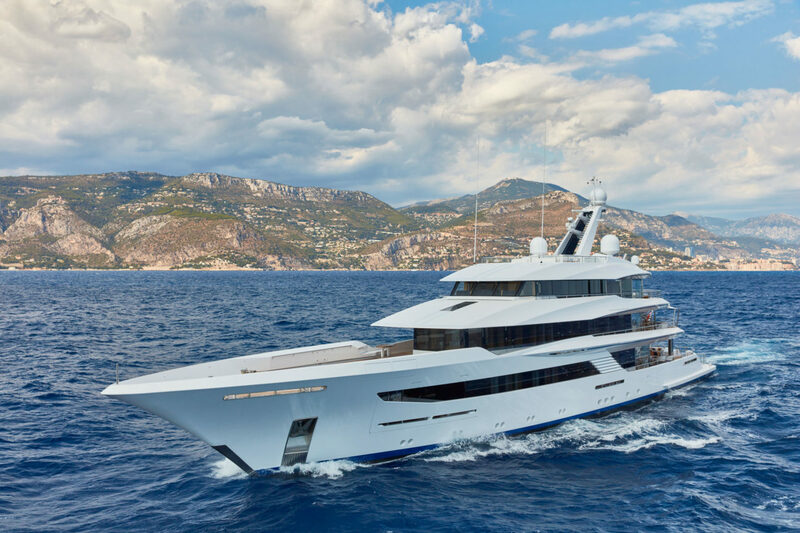 Launched in 2008, this stylish and striking Heesen yacht is ideal for active families and large groups, with arguably the best outdoor space of any 50m yacht. 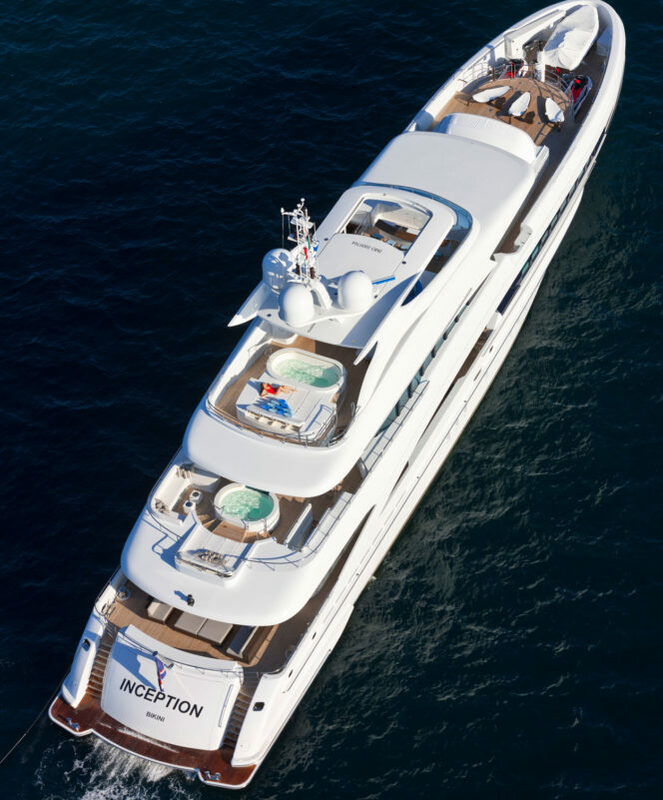 Inception’s huge sundeck includes a large 12-person jacuzzi and shaded seating area, while a teak terrace on the foredeck converts into an outdoor cinema at night. Of course, there’s more than just on-board entertainment available. The great range of watersports equipment includes a sport fishing boat, two tenders and multiple waverunners, paddleboards and kayaks. The jewel in the crown of Inception, however, just might be the magnificent, circular master suite. Featuring a private sun terrace with an infinity pool, its king size bed rotates a full 360-degrees, which means you can face either the large plasma screen or stare out to sea beyond the private deck. 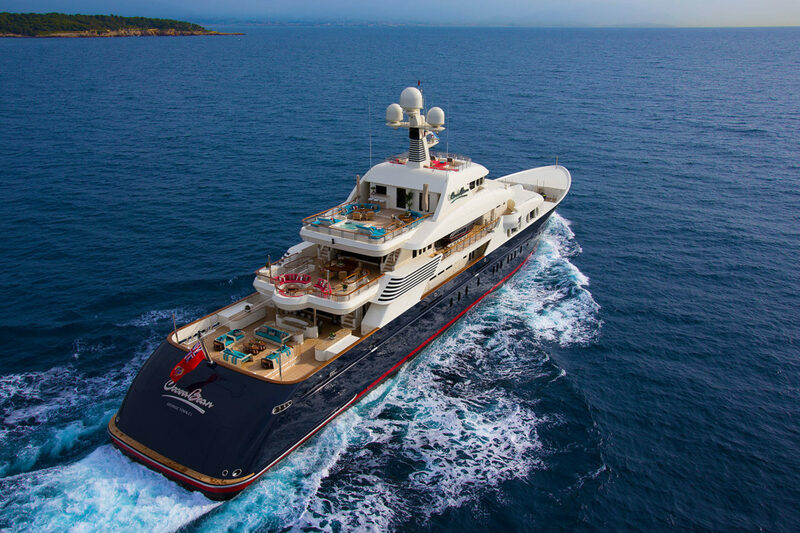 If you’re heading to the Mediterranean this summer, you’ll want to consider Andreas L. Not only is she widely considered to be one of the world’s most successful superyachts on the charter market but, just this winter, she also underwent an extensive refresh, including a superstructure repaint, new A/V and new soft furnishings. 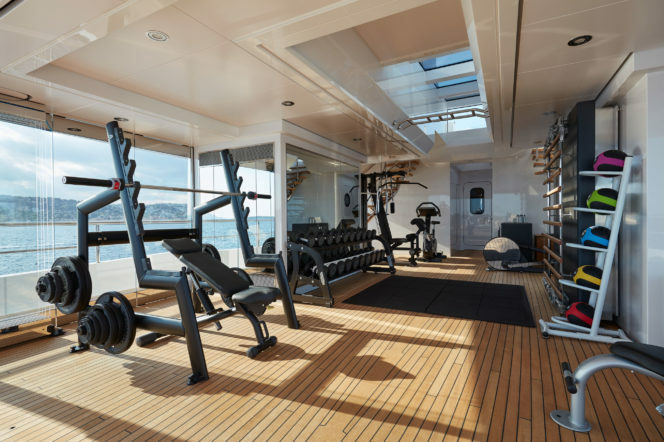 Her impressive sundeck features a fully equipped, air-conditioned gym, illuminated jacuzzi and al-fresco dining area. 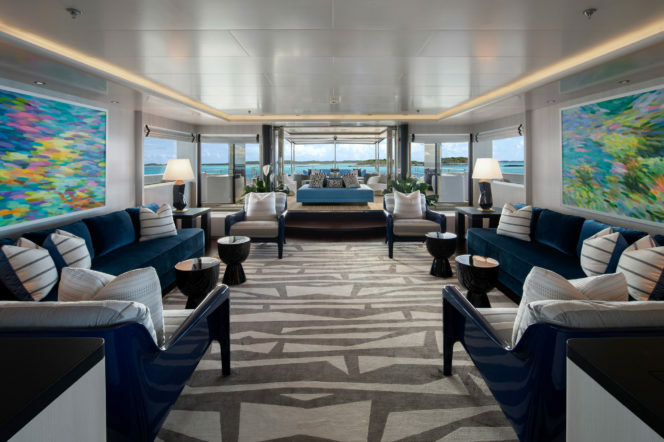 Inside, you’ll find a large main salon with a formal dining area, along with six private, luxurious cabins offering breaktaking views. Redman Whiteley Dixon’s light, spacious and tasteful interior design ensures Andreas L is both contemporary and immaculate. Above all else, perhaps what is most outstanding about Andreas L is the reputation of her crew. A longstanding team of 15, led by experienced charter Captain Cristinel Neagu, they will ensure your every need is met and that you have a truly unforgettable summer. 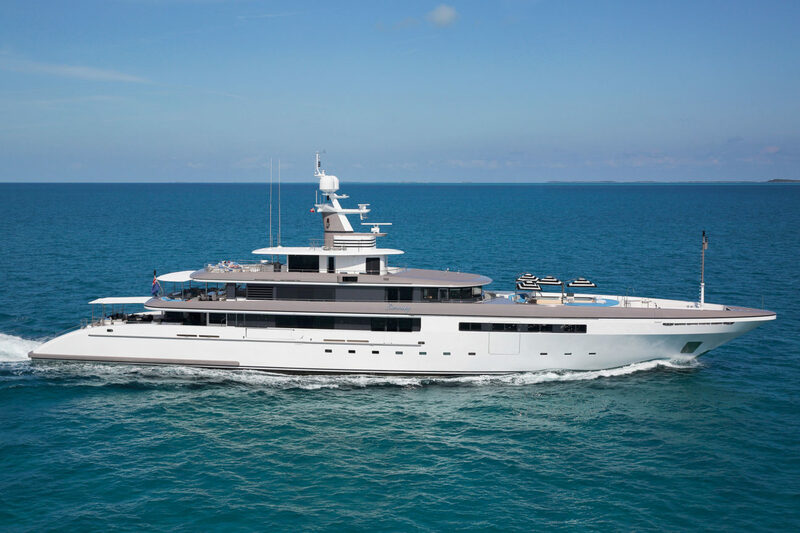 Built and launched by Codecasa Shipyard in 2010, Eternity is the ideal yacht for taking to the Bahamas this summer. 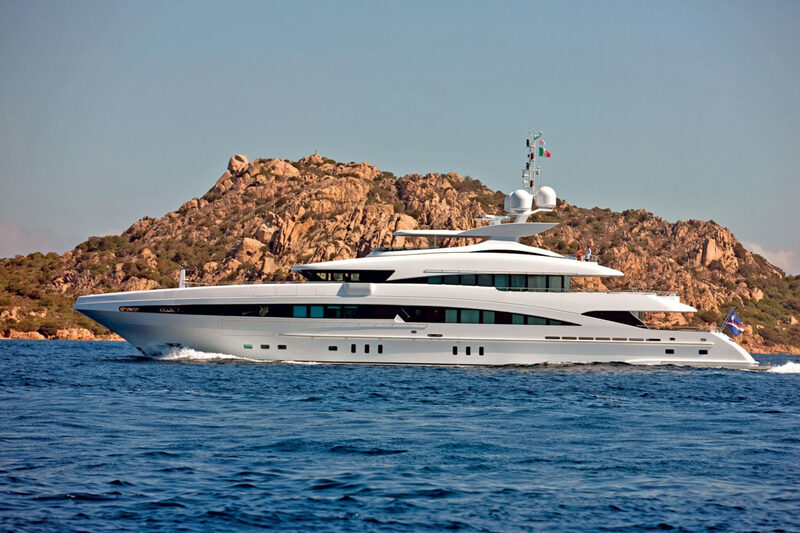 It’s no surprise that she was formally called Family Day, as she comes fully equipped for a memorable one, boasting an award-winning chef, a large jacuzzi and plenty of watersport toys among her key features. Fresh from a full refit in 2018, Eternity is modern, stylish and – thanks to her oversize picture windows – full of natural light. Her previously dark interior has been given a lighter touch, courtesy of interior designer Suzanne Lovell, the main saloon bar has been entirely rebuilt and new electronics have be installed throughout. More often than not, you’ll likely find yourself catching some rays, rest and relaxation by the large spa pool. Situated on the bridge deck and surrounded by armchairs, sun loungers, sofas and coffee tables, it’s the perfect spot for any party. 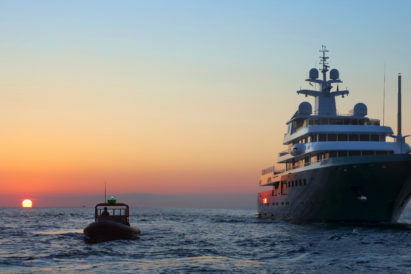 If wellness is your word for 2019, this superyacht more than lives up to her name. As well as boasting a spa and treatment room and on-board masseuse, Joy’s private chef can create customised menus to suit any health or beauty programme. Fitness fans will also rejoice at the huge, glass-walled gym area – which takes up the entire bridge deck and stretches inside – described by her owner as “the best place to work out anywhere in the world”. 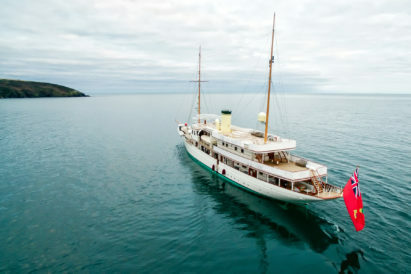 Not only that, stroll to the foredeck and you’ll find a unique games space, equipped with a badminton court and basketball hoop. And after a hard day’s sunning, soaking and shooting hoops, take yourself through the transom doors or the bomber doors on the main deck to Joy’s very own, exceptional beach club. Fitted with a video wall, cinema space and sumptuous bean bag chairs – perfect for watching films or playing video games – it also converts into the ideal party space, with LED lighting and plush seating. Joy by name, Joy by nature. 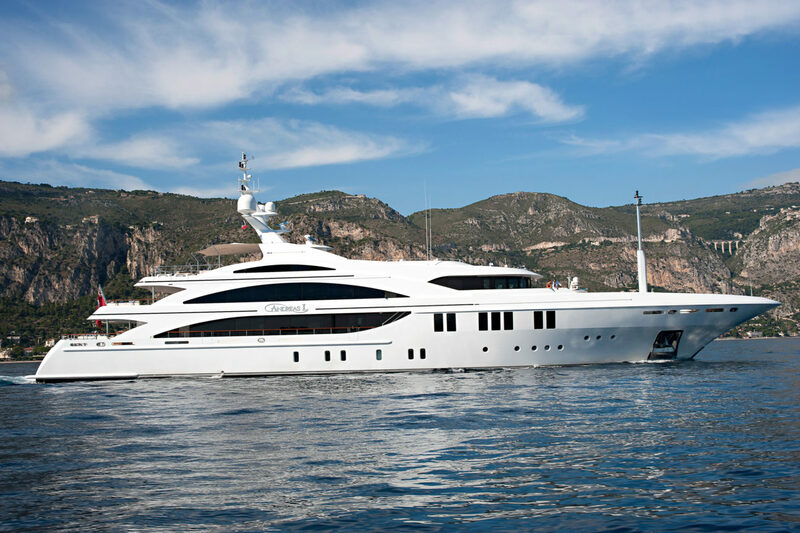 In 2014 Trinity Yachts launched Cocoa Bean, and we could not have been more enamoured with the result. The welcoming interior, designed by Evan K Marshall, is full of soft carpets and warm wood, giving you and 11 other guests a sense of grandeur without being excessive. 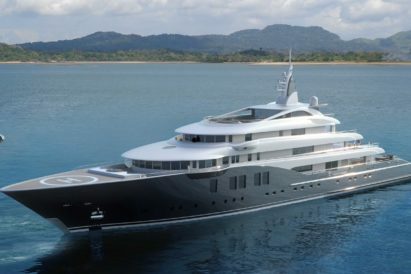 On the main deck, you’ll find a full beam master suite along with a private office, lounge, large en-suite and walk-in wardrobe. 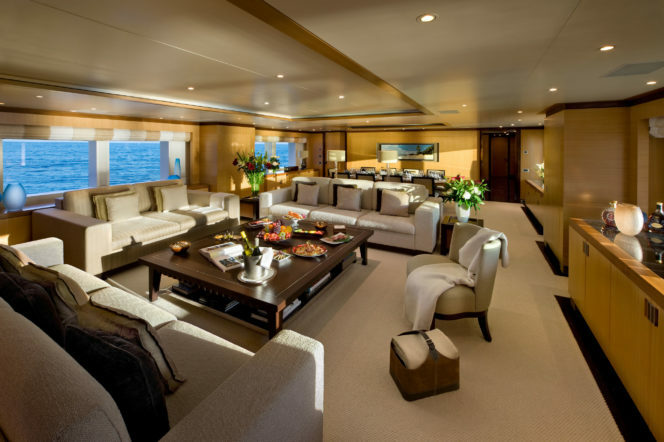 On the lower deck, you’ll find further guest accommodation including a full beam VIP cabin. Venture out from these sumptuous surroundings and you’ll be met with a cascade of exterior decks that culminate in a sea-level beach club and water sports centre. Packed full of the latest sports equipment, from waterskis to wakeboards, you’ll want to pack some spare sunhats. 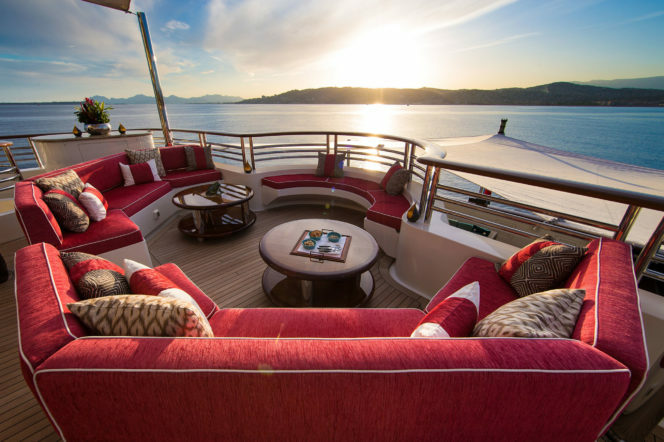 There are also plenty of opportunities to relax and entertain on the upper deck, which includes a complete wet bar, cocktail tables and jacuzzi. The upper bridge deck salon also features a comfortable lounge and the top interior deck, with its observation lounge, offers you 180-degree scenic views. So, come rain or shine, Cocoa Bean has got you covered.